← Belgium. Beer, Chocolate, Repeat. For some reason, whenever I return to Germany I get this amazing sense of happiness, it gives me that feeling of going home, like I’m going to be hugging my family when I arrive. Albeit, I have never actually lived in Germany, nor do I speak the language. Why do I feel so at home in Germany? Maybe it’s the food – basic, comforting, and unchanging – maybe it’s the people and that I feel this unique sense of understanding with them, or maybe, it is as simple as I blend in there, and sometimes that’s exactly what you want when you’re in a foreign land. 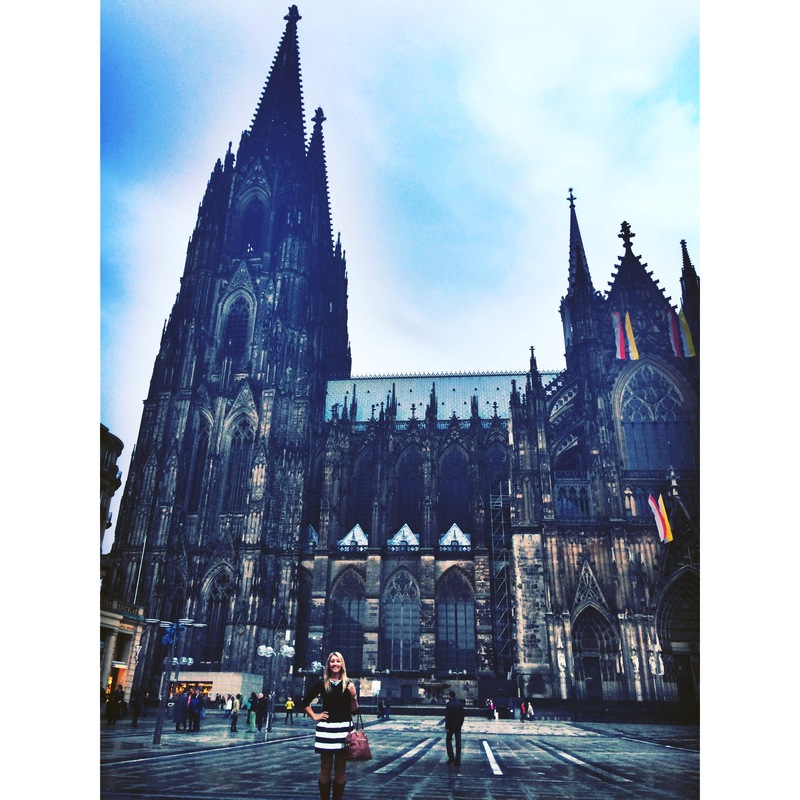 Whatever the reason, I know that every trip I take to Germany I enjoy, and Köln was no different. I almost didn’t discover this little gem; luckily a friend (thanks Josh!) told me it was his favorite city and went on and on about how wonderful it was. This sealed my traveling fate and made the decision to follow Sarah to Köln for three days, or stay in Belgium, an easy one. We took the most economical, yet somewhat smelly and stuffed, bus for 3 hours (turned into 4, because no one is ever in a hurry in Europe) across the border of Belgium and Germany. We hopped from our bus directly onto a local train and one stop later arrived at our 5-star hotel. Sometimes, working in the hotel industry really pays off, or at least having friends who still do, does. There’s something magical about staying in a hotel, it’s like playing house in a new spot that has amazing fairies who come and clean it for you everyday. It’s especially enjoyable when you get to stay in a 5-star one. I find that as I get older, hostels just don’t hold the same charm as they used to, and you begin to require your own space, that doesn’t include drunk 21-year olds coming in at 4am. The Hyatt Regency sits on the Rhein River, to the east of the city center. 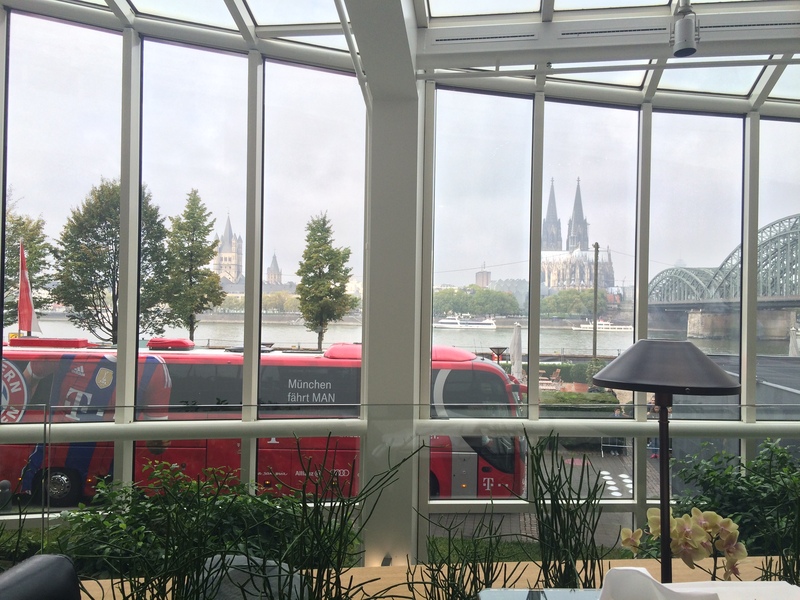 Our view during breakfast each morning was one of the best in the city, offering up a perfect 180° view of Köln. Also, one of the most famous Futbol clubs, Bayern München, was staying at our hotel. No big deal. 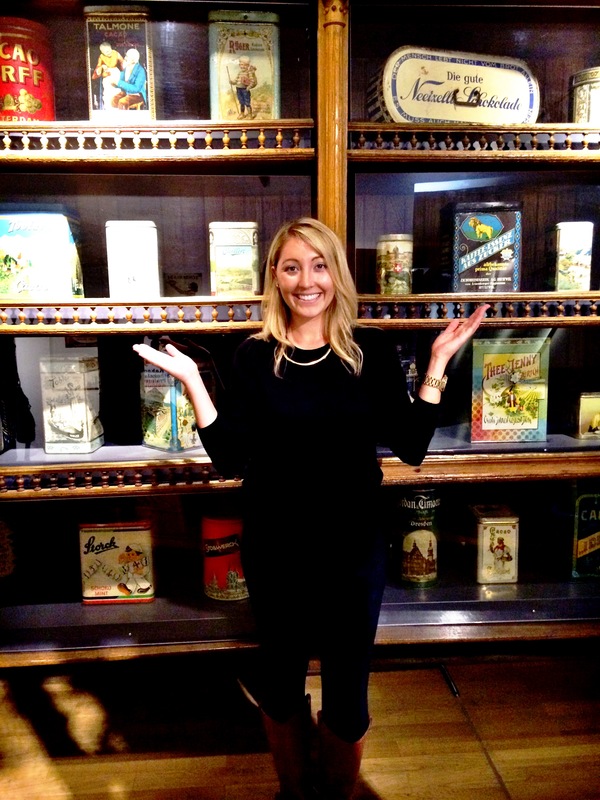 Our first order of business was the Fragrance Museum Farina-House, the true birthplace of eau de cologne. The tour was about an hour and well put together. We learned about the quality, the inception, and the why. In the 18th century hygiene was a difficult task compared to today, so Farina created a concoction of scents to help mask the otherwise terrible smells. 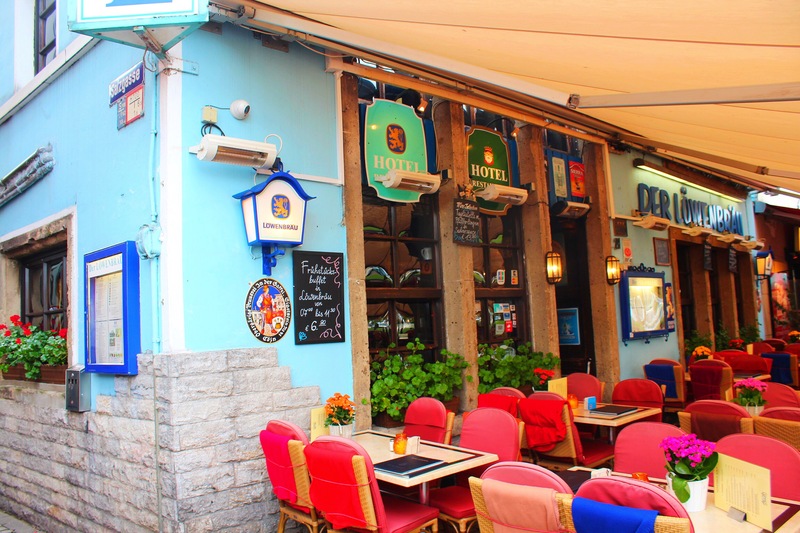 Some of his famous customers included Napoleon, Mozart, and Queen Elizabeth of England. While in Germany we did what any person would do. Drank beer. 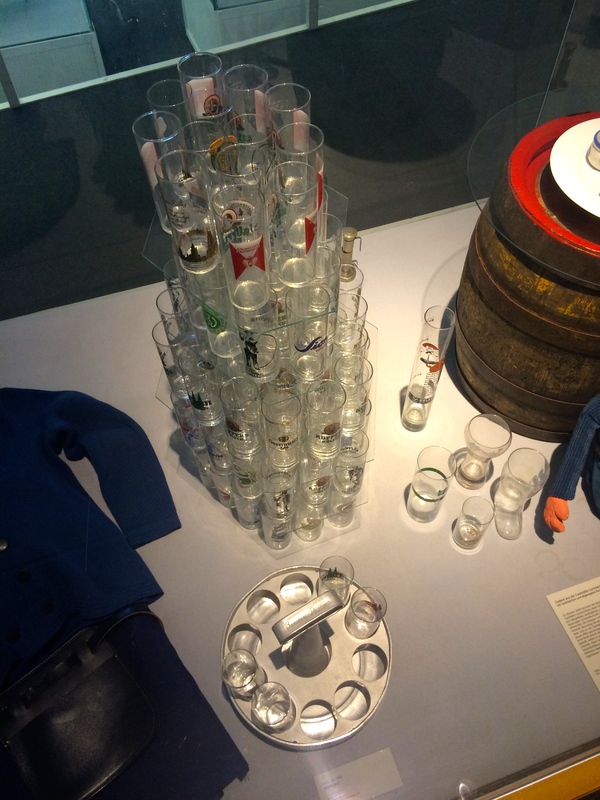 We spent our three days in Köln trying as many different Kölsch beers as we could find. 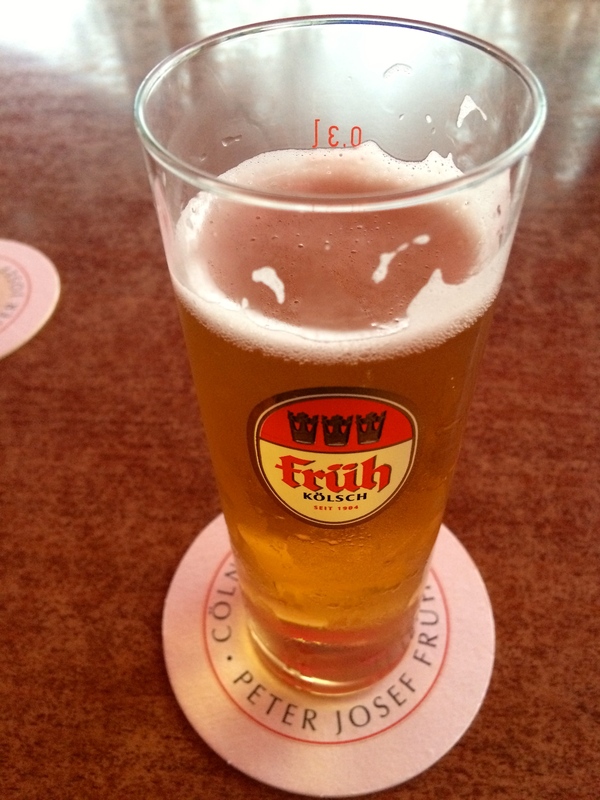 Each region of Germany has it’s own type of beer and in Köln it’s Kölsch. My favorite Kölsch’s were Sion and Früh. My least favorites were Sünner, Päffgen, and Dom. We ate a lot of sausages, curry wurst, and pretzels. 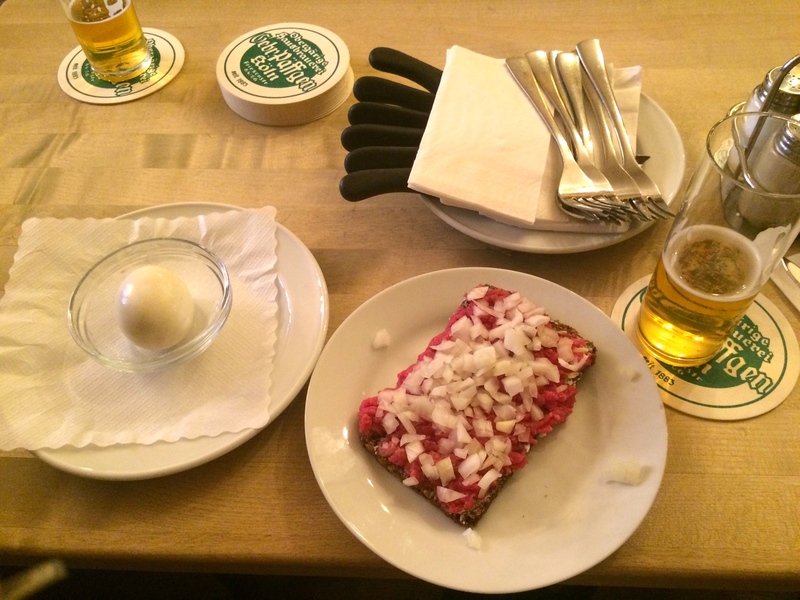 One day, I even tried raw meat with onion on bread. It was surprisingly good and yet, somewhat tasteless. I remember my grandma telling me that when she was a little girl her favorite snack was raw hamburger with onions on a saltine cracker, so I had to try it. I have to admit we actually ate a few meals in our hotel as the food and the service was so good!! We had sushi, steak, burgers, and delicious salads. Not to mention the AMAZING breakfast that was included with our stay. I don’t feel an ounce of guilt that we ate one or more meals in the hotel almost everyday, I doubt Sarah does either. 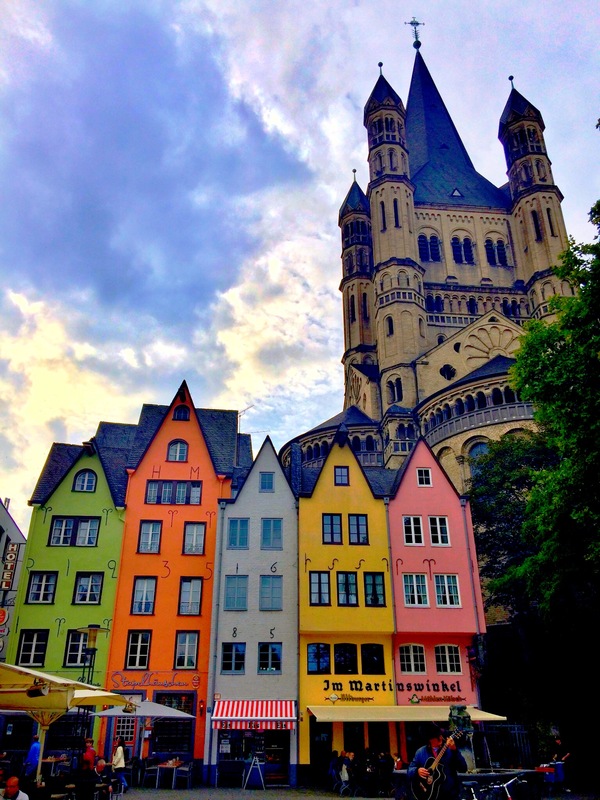 Aside from food and beer, Köln is full of museums and churches. The Roman-Catholic Köln Cathedral is the largest Gothic Church in Northern Europe and the most visited landmark in Germany, according to Wikipedia. 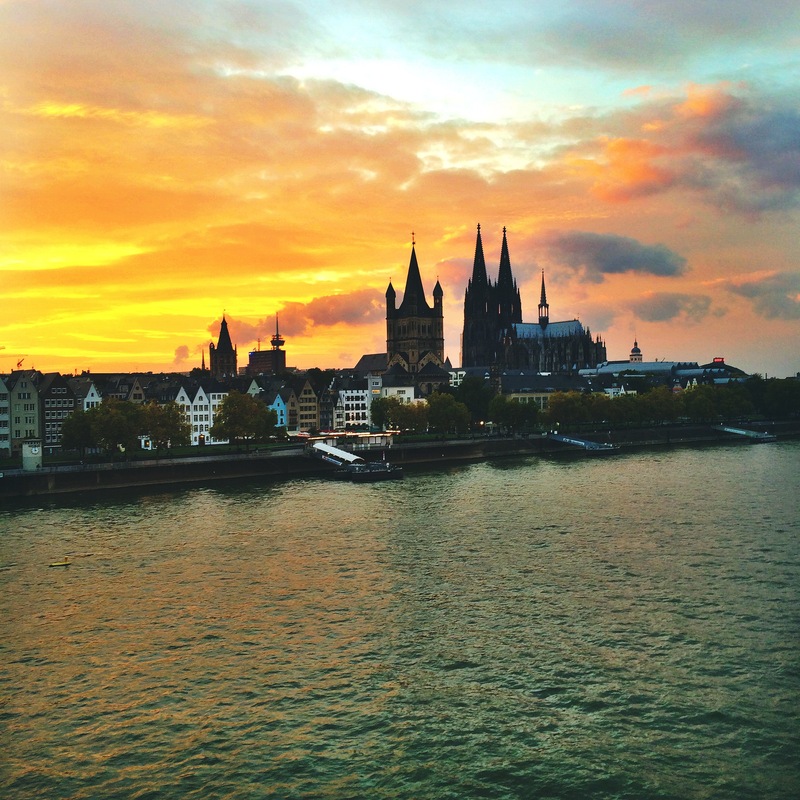 It is definitely a spectacle to see, and beautiful to look at when viewing the Köln skyline. There are many other non-Gothic churches in Köln, as well, like this one that sits just south of the Köln Catherdral on the Rhein. 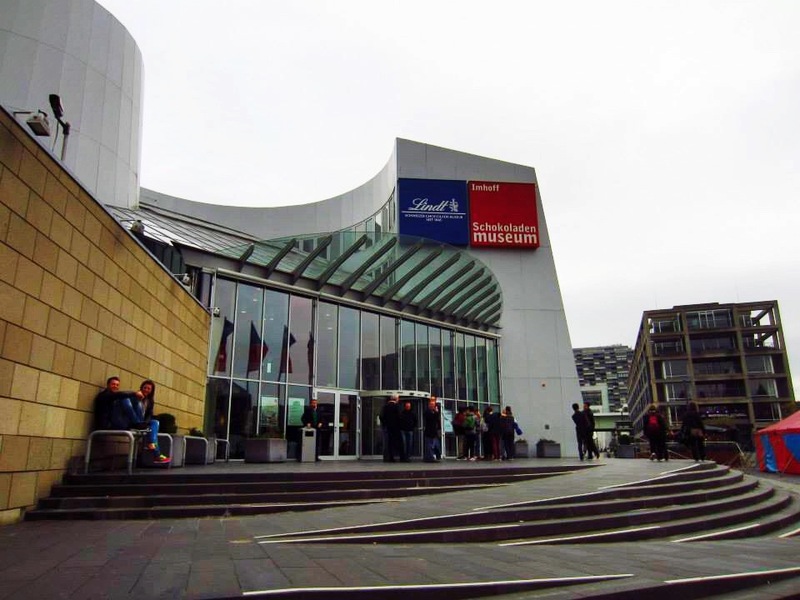 On our last day in Köln we spent the entire afternoon at the Imhoff-Schokoladenmuseum, another gem we almost missed after reading mixed reviews online. 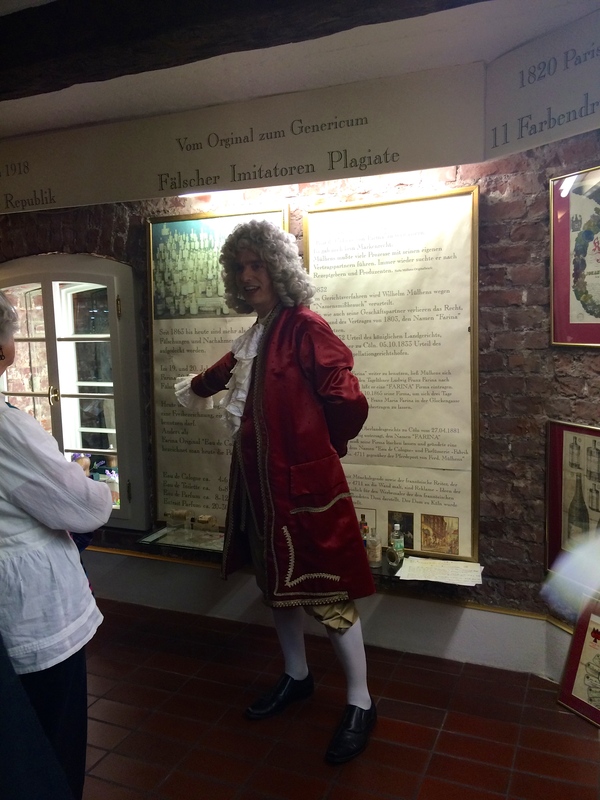 As an extreme chocolate lover I am ashamed to admit that I almost did not visit this chocolate museum. IT IS A MUST VISIT in Köln. Do not listen to the ridiculous reviews that tell you not to visit, only mine that tells you you should. 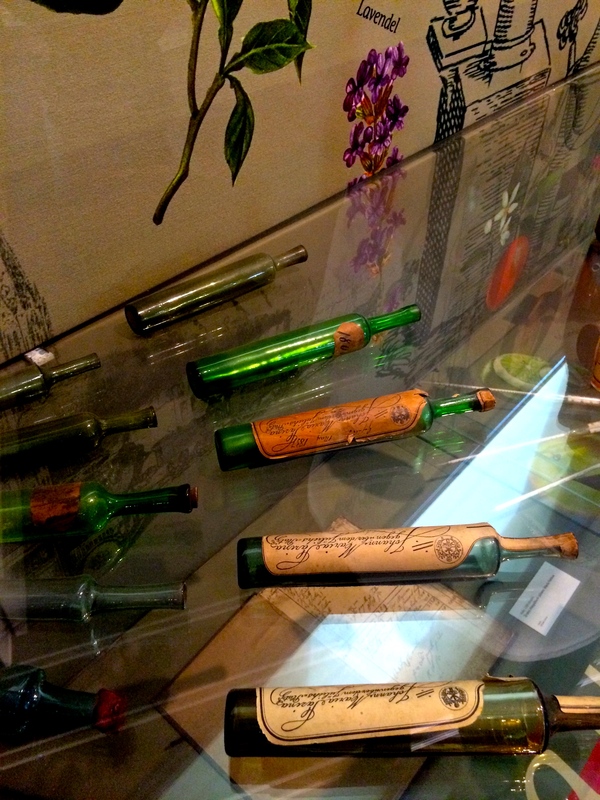 🙂 The history of chocolate is presented in a fun and interactive way, and I found it to be extremely fascinating with lots of previously unknown facts to myself. 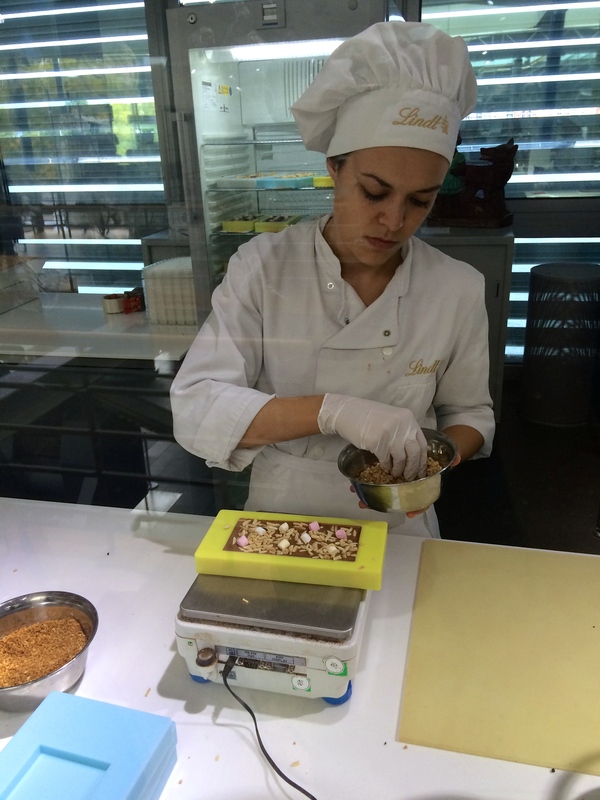 Plus, at the end you get to view the ENTIRE chocolate making process. 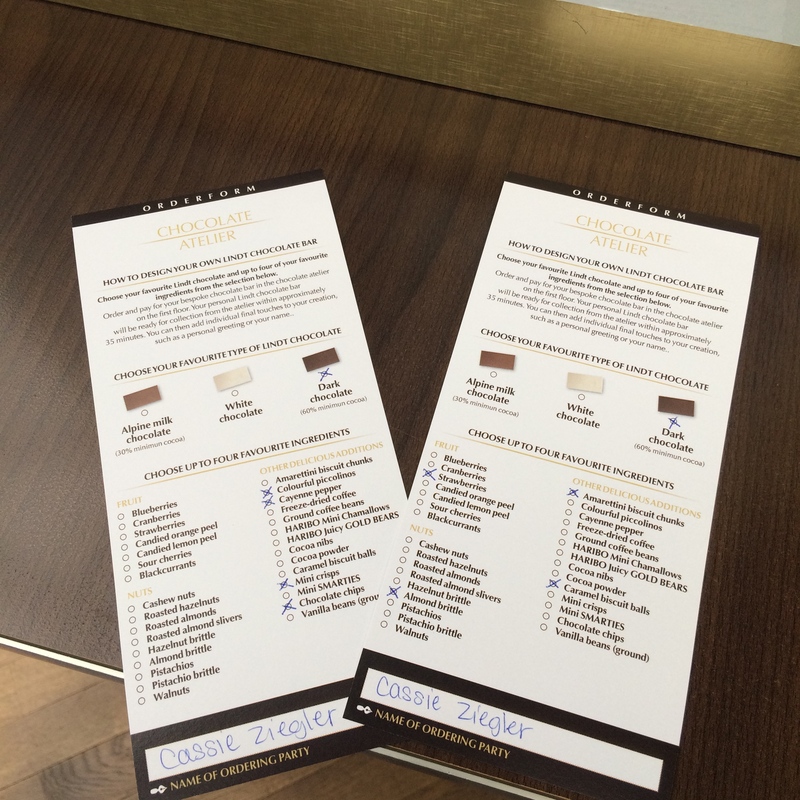 Not only that, you also have the opportunity to create your very own customized Lindt chocolate bars! 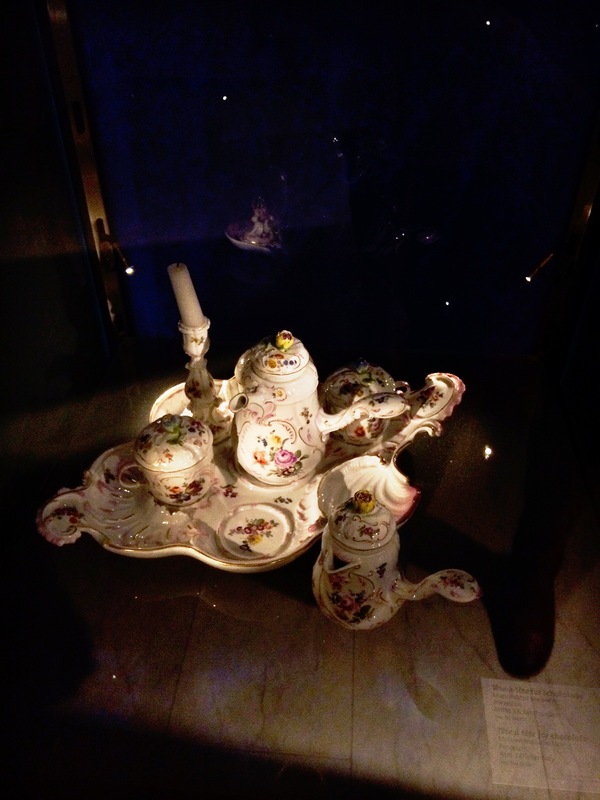 Also, this is what chocolate used to be served in, when it was only consumed by the Royals and Nobles of the time. In case anyone wants to get me a set for Christmas. 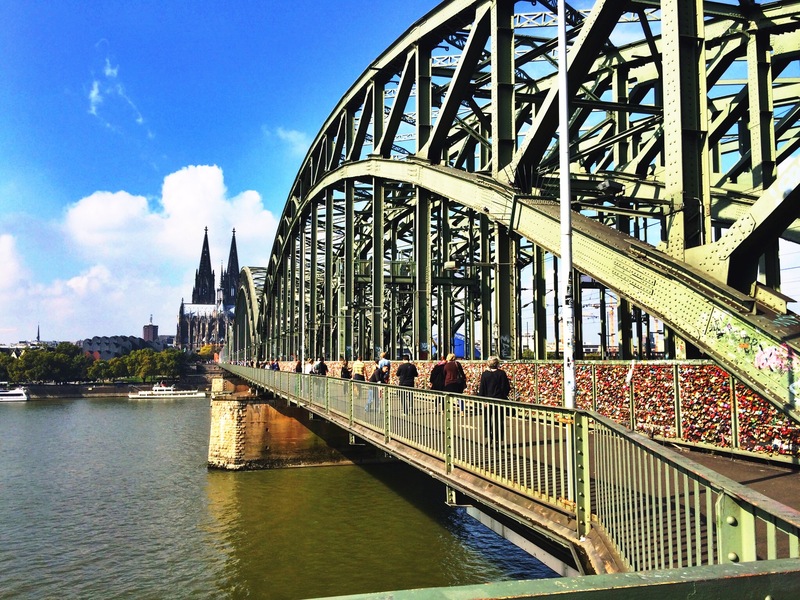 Our time in Köln was well spent relaxing, eating, and exploring. My favorite ways to see a new city. I like to take the moments slow and embrace what’s around me, and this three day escape to Köln was the perfect trip. 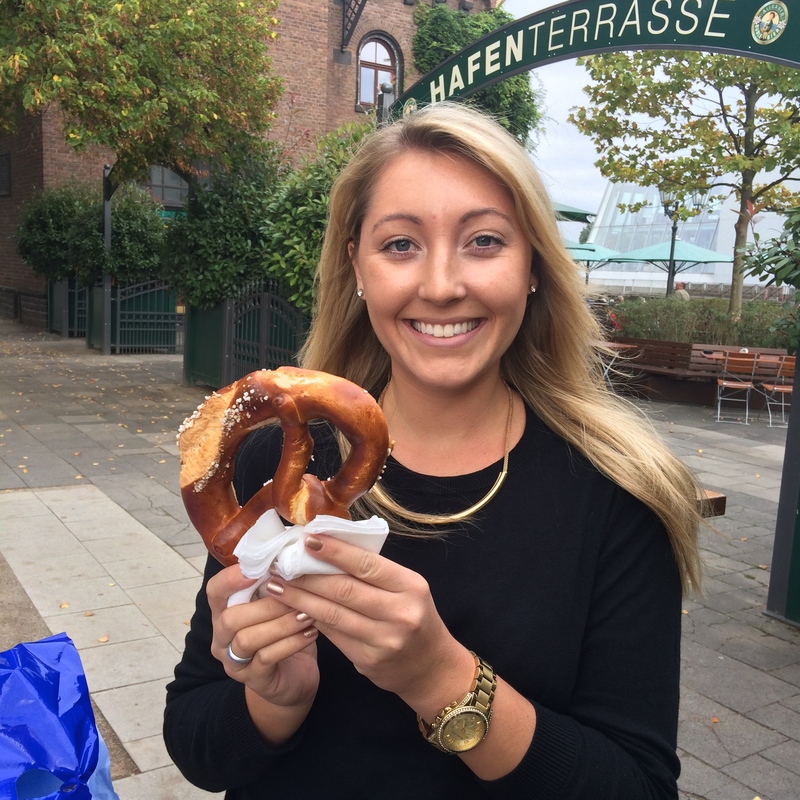 It’s doesn’t get much better than walking along the Rhein, pretzel in hand, and the beginnings of Autumn’s cool crisp air in your hair. What a nice review of my city! Glad you liked it here!